The board is powered on, and the battery interface is the same as the iphone 6P. If you haven’t a professional power meter interface, you can use an ordinary alligator clip. The battery positive voltage VBATT is first sent to the charging IC-U2300, and the charging IC-U2300 outputs the main power supply VCC-MAIN (same voltage as the battery positive voltage) to the main power U2300 and other related circuits. First, the large current power, this situation is generally due to the battery positive voltage or the main power supply installed in two parts of the short circuit caused by the existence of parts, power can be used to quickly find the faulty parts of the rosin method, the specific method: first with a UT81B Handheld Digital Multimeter Here the positive battery and the main power supply to the ground resistance, find the short circuit this way, use the rosin to smoke the motherboard white, add a voltage in this way of the short circuit, pay attention to this circuit must be in the short circuit voltage, voltage slowly from zero When the parts that are short-circuited after power-on for a while become discolored due to heat generation, parts that are short-circuited can be found immediately. Second, the boot did not respond, first measure the U2300 output main power supply is yes or not, if haven’t, please replace the U2300, in this step, you have to work with Microscope and Quick 861DW Air Gun Soldering Station. if the main power supply is normal, the problem is in the power IC or CPU. Third, the start of a small current does not connect the current circuit, measuring the voltage in the following figure is normal, if it is normal then replace the clock crystal Y0600, check the welding replacement bus more than a few pull-up resistors will cause a small current does not boot not online, the several resistors can not The short circuit must be replaced. If the above problem is solved, it is a CPU problem and the CPU can be reinstalled. Four: The boot is not normal, the boot white Apple infinite restart of the three cases, one is the logic chip U0900 Weld or damage will cause the boot to restart infinitely, brush machine error 14 or error 9. One is the hard drive or weld will cause damage Unlimited boot reboot, Brush reported error 9/14/4013/4014, there is a 4005/4013/4014/14 and so on. If the power on is abnormal, first reinstall or replace U0900—reinstall or replace the hard disk—reinstall the CPU. or you can use JC pro1000S to check most of itune errors. V: Originally it can be turned on, but after the error is reported, it will cause no boot (boot mode). 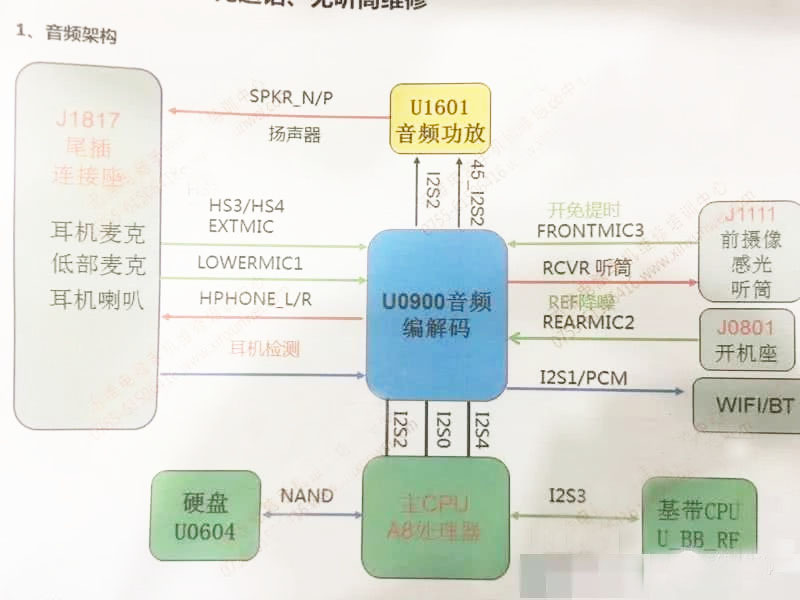 If the progress bar finishes error 56/9, replace the baseband power supply, reinstall or NFC module U5301-RF. VI: Another common boot white apple screen is the USB control IC - U4500 caused by welding or damage, do not install the power supply table with a boot, see the current is normal boot, but installed the display boot white apple screen freeze Replace the U4500. if you still have any questions for fix these problems, please do feel free to contact nandrepair.